Christian Casey v. Casey. Case Number SACV 03-693 CJC (CWx) U.S. District Court, Central Division. A trademark infringement, civil RICO and Unfair Business Practices action involving counterfeit clothing. The case lasted almost three years and involved over fifty banker's boxes of discovery, almost a dozen depositions nationwide and extensive law and motion practice, including four motions for summary judgment. One key issue was a parallel criminal proceeding in the state of Georgia brought against the Defendant for felony counterfeiting. Greg Hill handled the case from start to finish, which was settled for $350,000 on the eve of trial, far less than Plaintiff demanded even one week earlier. In Re Aircrash at Point Mugu, California. Case Number MDL 1343 CRB, U.S. District Court, Northern District of California. A negligence and products liability action involving the crash of an Alaska Airlines 737 off Point Mugu, California and all 83 passengers and 8 crewmembers to die. Greg Hill was part of a team of four attorneys defending a grease manufacturer. Key issues were the choice of law (common law versus Death on the High Seas Act (DOHSA)) and apportionment of fault among several defendants, as well as the pilots. Greg Hill wrote a large part of the successful motion for summary judgment based on causation. In Re Aircrash of Singapore Airlines Flight SQ006. Case Number MDL 1394 GAF (RCx), U.S. District Court, Central Division. A negligence and products liability action involving the crash of a 747 on take-off from Taipei, Taiwan during a typhoon. The aircraft broke apart into three pieces, killing 66 people and causing many others to suffer severe burns. Key issues were the Warsaw Convention's applicability, apportionment of fault among defendants. Greg Hill was one of three attorneys defending the evacuation slide manufacturer. Greg wrote a successful Motion for Forum Non-Conveniens that resulted in the dismissal of 17 cases from the United States. 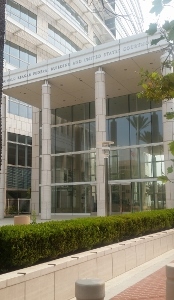 CMG Worldwide, Inc. v. The Milton H. Green Archives. Case number CV-05-2200 MMX. U.S. District Court, Central Division. A copyright and trademark infringement action, as well as violation of the right of publicity action involving thousands of photographs of Marilyn Monroe. Greg Hill the lead attorney defending the Milton H. Green Archives, with associated counsel from separate firm as personal counsel for the client. Key issues were preemption of right of publicity claim by Copyright Act. Greg Hill filed a motion for summary adjudication of certain claims, which was granted in part and denied in part. Case settled with both injunctive relief and royalty agreements. 99c Only Stores v. 99c Supercenters. Case number CV-05-2281 AHM. 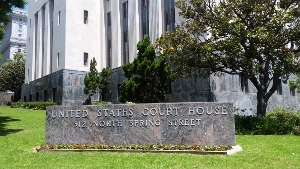 U.S. District Court, Central Division. Trademark infringement action. Key issue was personal jurisdiction here in California over a Florida corporation. Greg Hill, lead attorney for defendant, filed a 12(b)(2) motion challenging personal jurisdiction. The Court granted the motion, dismissing the action. Plaintiff's Motion for Reconsideration was denied. Plaintiff made no appeal. You will need to hire a skillful and experienced lawyer knowledgeable in federal offenses to defend you. Greg Hill & Associates is one of Southern California's most experienced criminal defense law firms in federal crimes. CONTACT OUR OFFICE today to start your defense. (310) 782-2500.